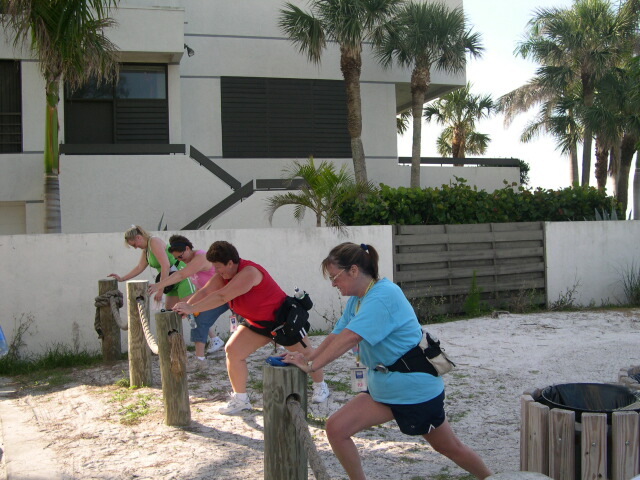 Darlene (our training leader in the foreground of this photo) is a big believer in stretching. Guess that's why we're all doing so well. No sore muscles if you do your stretching!